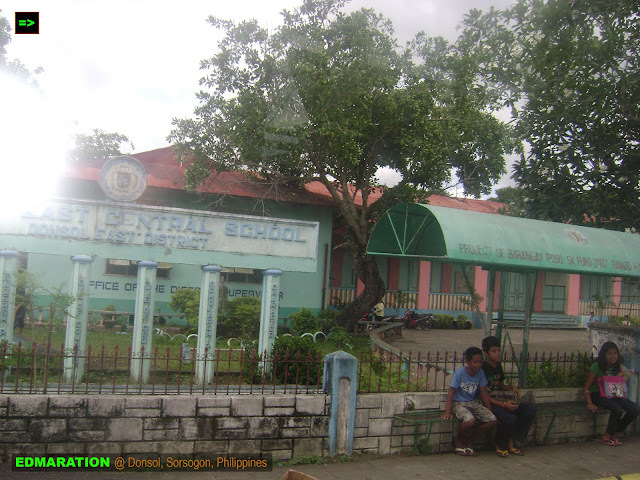 "There are also other entities worth to be recognized because those are the things that make the town complete - the people, the culture, the daily living, the heritage, the simple scenes and the warm smile at the face of the people and these are the things that make tourists happy even in the absence of butanding." 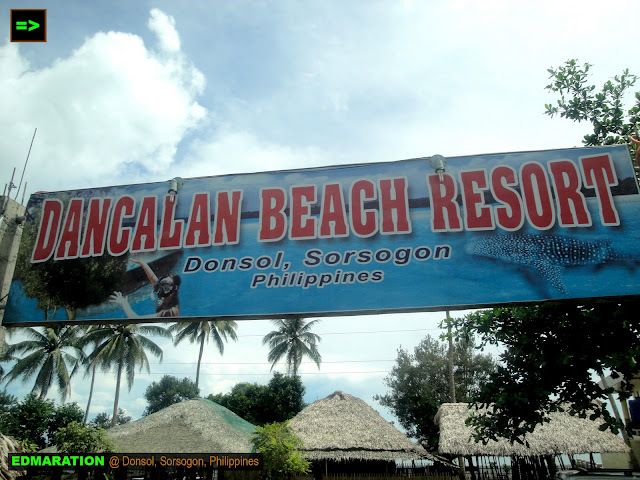 Donsol, Sorsogon has been known to be a world class tourist destination because of the whale sharks known locally as butanding. But behind the success is a lovely story I have known. The butanding or whale sharks, the largest fish in the world has been seen by the residents for the last 100 years but it was only in 1998 when it was discovered. 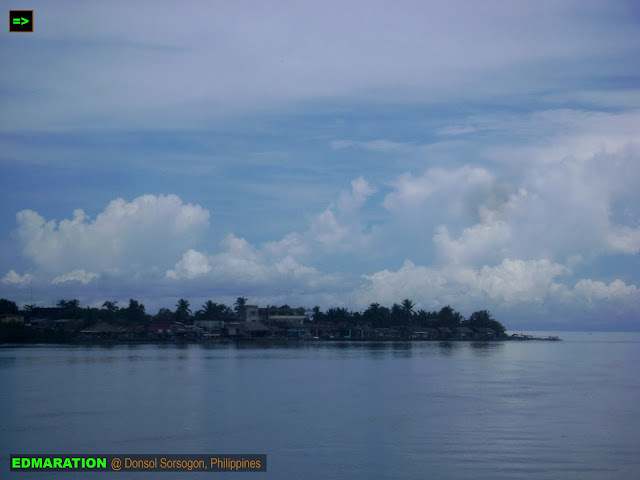 The calm warm waters of Sorsogon on which the whale sharks love to swim. As I entered the town, there is peace in my heart because I know this will be another typical town with friendly people yet aloft to strangers. 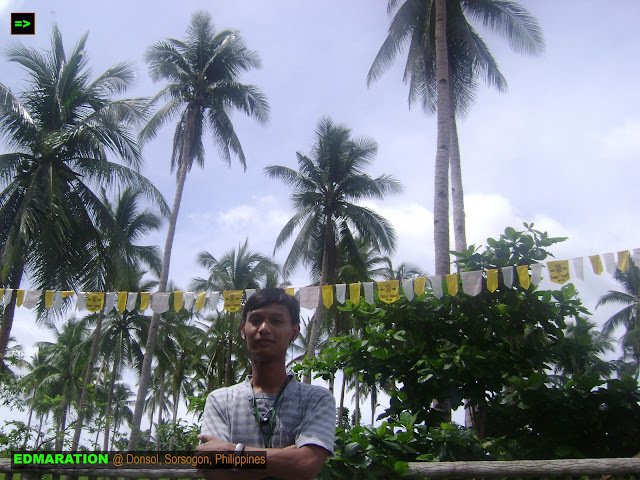 I love the simplicity of living, the warm smiles from the faces of the residents, the common unpaved countryside roads, the old houses of the town, the array of coconut plantations, and the great clear blue sky. The people just live in their own ways and seemed like not expecting a good life in the future but I must say the luck is in this town. The sleeping town has arisen and will soon flourish to feed the hungry. 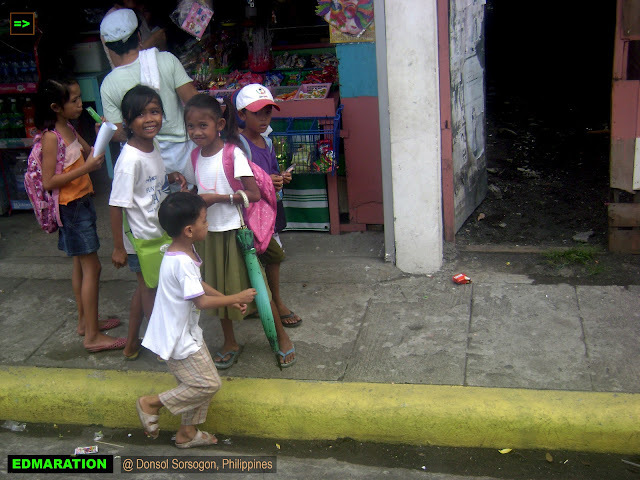 During my visit to this town, I can see the children going to school throwing us back with sweet innocent smile. 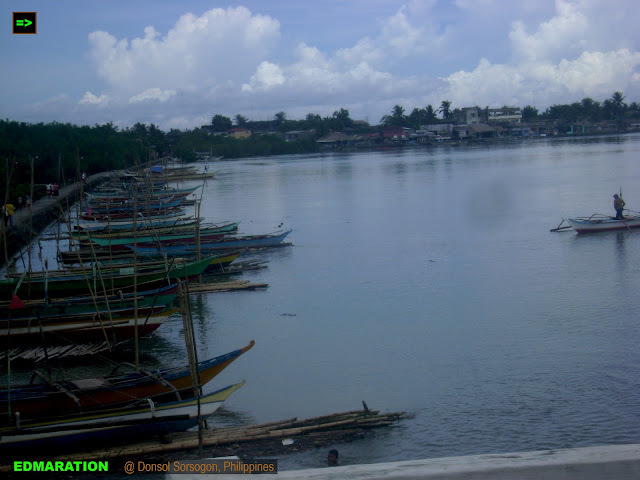 As of my visit, I am not seeing any abuse of the natural resources and natural wonders (I just hope my eyes were right) of Donsol town but I asked myself, how far will they get there? I have heard many tourist destinations that decades ago were paradise but due to tourism boom, the once beautiful paradise just turned to be a commercial hub with no beautiful seen to see but the commercial scene. That is my point, so these children, do they know the potential of their town? 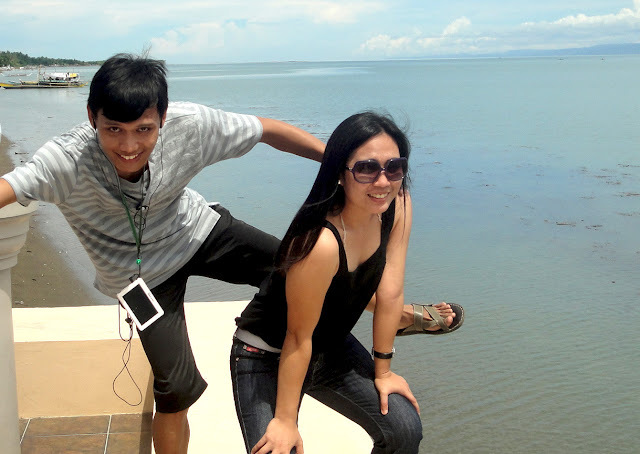 They must be innocent but the future of Donsol, Sorsogon is in their hands. As early as now, they must be equipped and be educated about the upcoming big break the town will soon experience and how they are going to handle it without destroying the beauty and wonders of their town. Seeing the center of the town, it is not so modern. There are only a few modern buildings the highest I have seen is only two-storey. 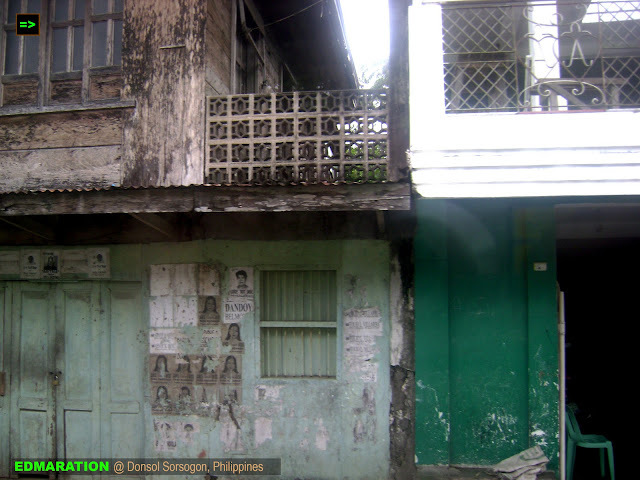 Most government agencies are housed on old houses such as the photo above but of course I see no concrete issues to raise from this. The town is just getting its momentum and will boom soon! 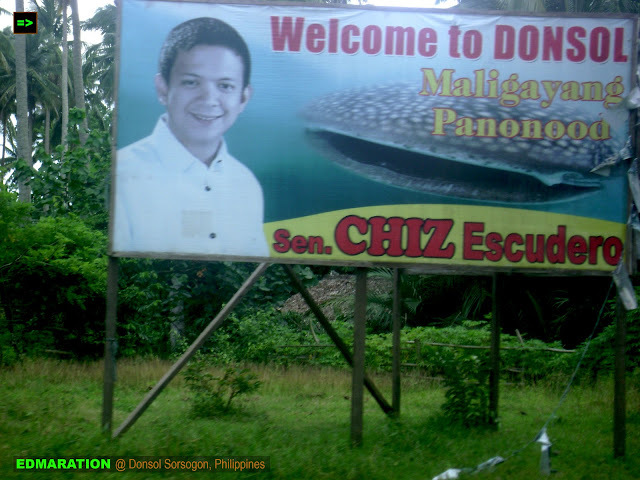 As you roam around the town, you can see the face of Sen. Fancis "Chiz" Escudero who comes from Sorsogon. 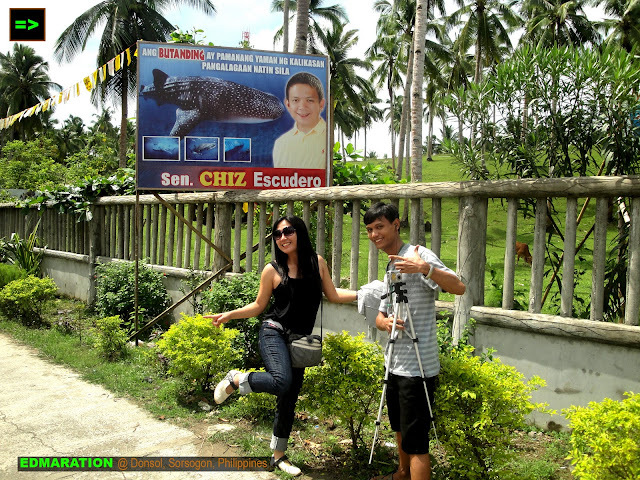 Sen. Chiz has been starting the campaign to promote the town to tourists and I think his campaign wasn't in vain. People really did go to the town to see the whale sharks with their own eyes. 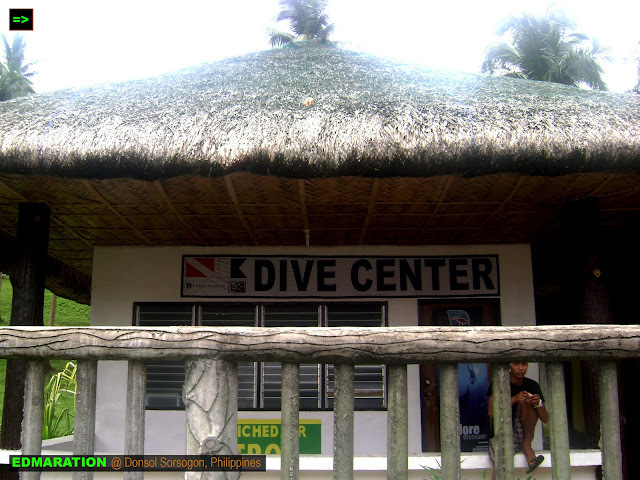 I also had the opportunity to go the Donsol Tourist Center to ask for assistance but unlucky, we were here for the off season so there's no butanding to expect. So of course, no whaleshark was seen by us. However, I was of course happy to see the town, it's simplicity, its beauty. 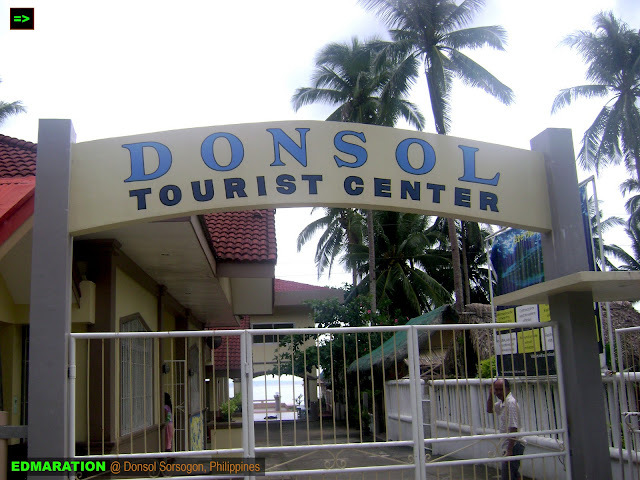 At the back of the Donsol Tourist center is the calm and warm waters of Donsol, Sorsogon and no wonder why the Butanding loves going here. As I have said, the presence of butanding in this town has been known by the locales over 100 years ago but they believed that these gentle giants are dangerous. The wrong notion was erased when a group of scuba divers led by Romir Aglugub, a PADI diving instructor discovered the presence of the gentle sea giants in January 1998. When it was discovered, even the members of the diving group led by Romir Aglugub also had second thoughts thinking that the sea giants are dangerous. Aglugub led the way into the water and came in contact with the whale shark and the copy of the video footage has been forwarded to the World Wildlife Fund-Philippines. By 1998, the sleeping town has arisen and became a world class tourist destination and dubbed as the "Whale Shark Capital of the World." 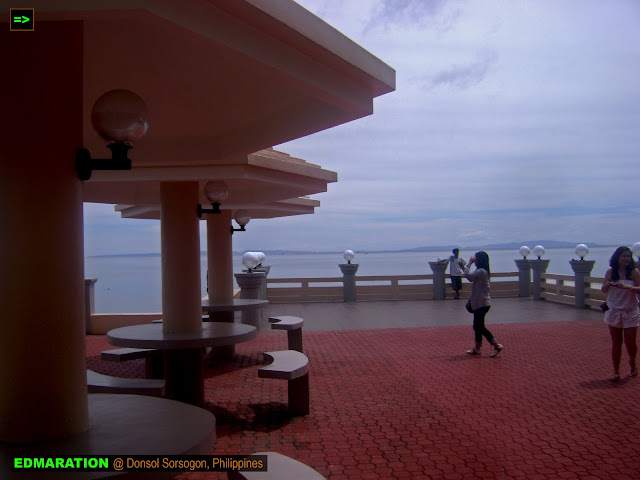 I also had chance to see some of the public structures of Donsol like the Donsol Municipal Hall, their West Central School and a couple of beautiful sceneries. 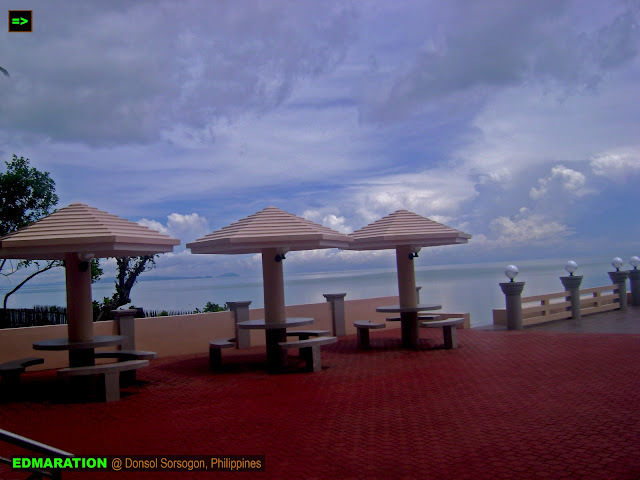 I saw this beach resort, just one of the several beach resorts that popped in the town. This was truly a signal that the town is now ready to embrace a tourist-oriented economy, well expected. This is the prize of tourism, it helps the economy a lot. Tourism is the largest industry in the world. But as I have said, the children should be educated so that they will come to know more about the potential of their town and be able to manage it in the future without destroying the habitat of the whale sharks and sacrificing the beauty of their promised land. 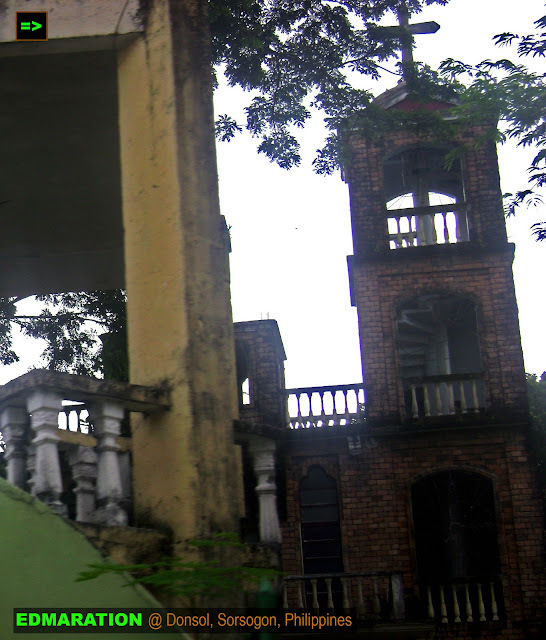 I also saw some old structures and aside from the whale sharks that is making their town famous and wealthy, these old stuctures are also a wealth to the town that is priceless. it is a heritage that can never be bought by money. 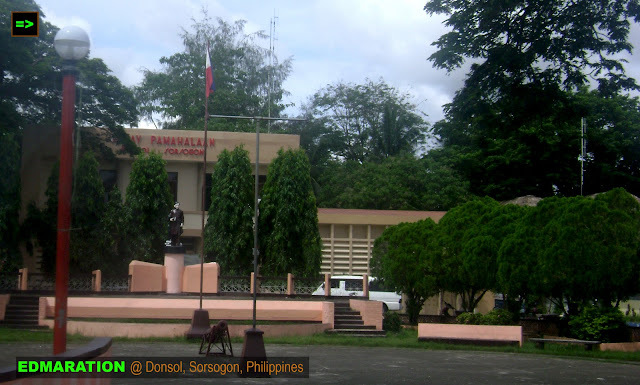 Well I was really glad seeing the less seen and less known part of the town because Donsol, Sorsogon isn't the original town we know if we are just thinking about the butanding alone. 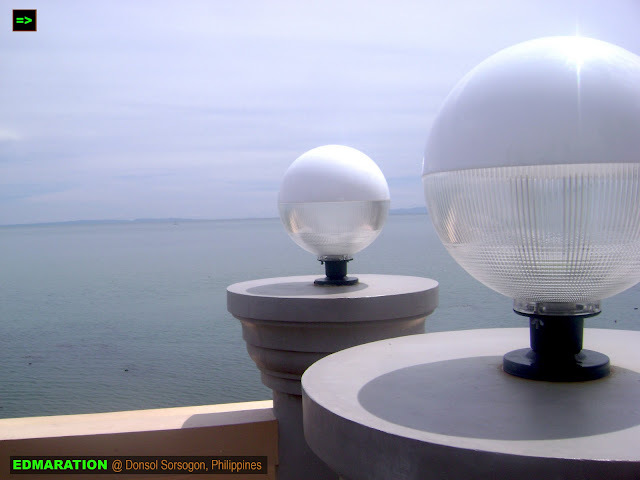 There are also other entities worth to be recognized because those are the things that make the town complete - the people, the culture, the daily living, the heritage, the simple scenes and the warm smile at the face of the people and these are the things that make tourists happy even in the absence of butanding.